New Clients receive 10% off their first roundtrip to any airport. Los Angeles Executive Limousine provides LA Car Service and Limo Service in Arcadia, CA. 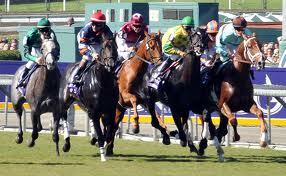 We provide limo service to the Santa Anita Racetrack, LA County Arboretum and Botanical Gardens. Whether you needs are business related or personal, let one of our professional chauffeurs transport you to any of the LA airports, a business engagement, a night on the town, a concert, a wedding, a prom, a doctor visit, or a funeral. Los Angeles Executive Limousine offers the most reliable limo service in Los Angeles. Los Angeles Executive Limousine Does Not Charge Travel Time for Limo Service in Arcadia! We don’t charge travel time to pick up in Arcadia for any transportation in a limo or a sedan as long as you end up where you started. We also do flat rates for short distance trips. We provide flat rate airport transportation to and from Arcadia to LAX, Burbank Airport, Long Beach Airports, Ontario Airport, Orange County Airport and all private airports. Our prices aren’t the most expensive, but nor are they the the cheapest. We are priced comfortably in between to insure late model high quality vehicles and chauffeurs. Whether it’s a business trip, a concert, a wedding, an anniversary or a prom, Los Angeles Executive Limousine will provide you with reliable, professionally chauffeured limo service that will make any occasion memorable.